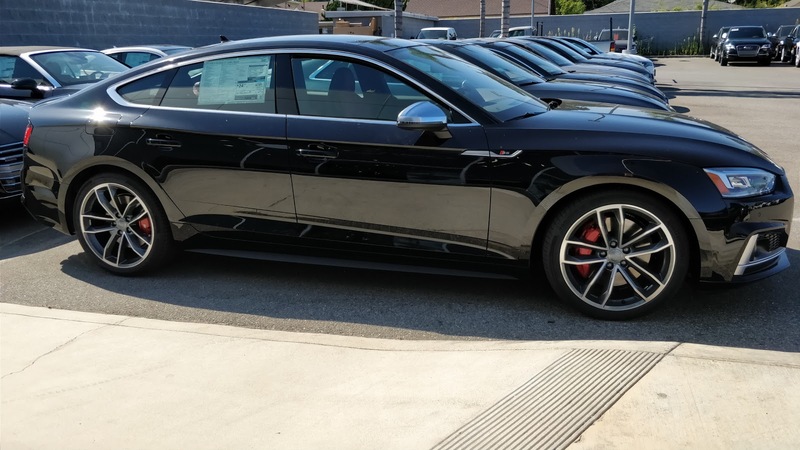 Newly revised for the 2018 model year, and available for the first time in the US, the S5 Sportback is probably the best looking car in Audi's current sedan line-up. While I have always found the A7 and S7, especially the rear hatch, slightly awkward, the S5 corrects that by maintaining the long and low proportions of a coupe while adding a pair of doors. In short, it looks stunning. With the Cavo wheels on dark color paint and the red interior peeking through the windows, the S5 is probably one of Audi's best designs to date. I love the sporty touches trimmed with just the right amount of restrained chome finish. If nothing else, Audi's sense of restrained elegance is never lost. That restraint gets a little bit lost as we transition inside the car. While the stunning quilted leather seats in a eye-catching shade of red are a sight to behold, the rest of the interior suffers from the same basic pitfalls that the A4 suffers from, since it is basically the same interior. 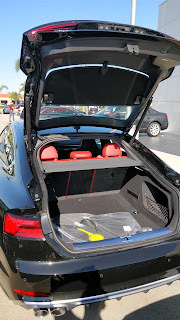 That means that in general, it is a very comfortable place to be, but the choice of materials for some pieces left something to be desired and the overall design is very functional, but not nearly as luxurious as competitors like the C-Class, although it blows BMW out of the water. 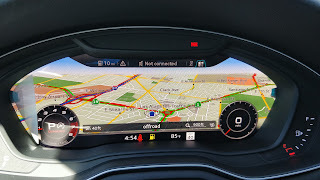 And that virtual cockpit, while potentially distracting, ends up being quite the impressive centerpiece to the overall technologically advanced feel of the car. Fire up the turbocharged V6, and the Audi roars to life with a satisfying growl, although only partly from the quad exhaust pipes in the back. 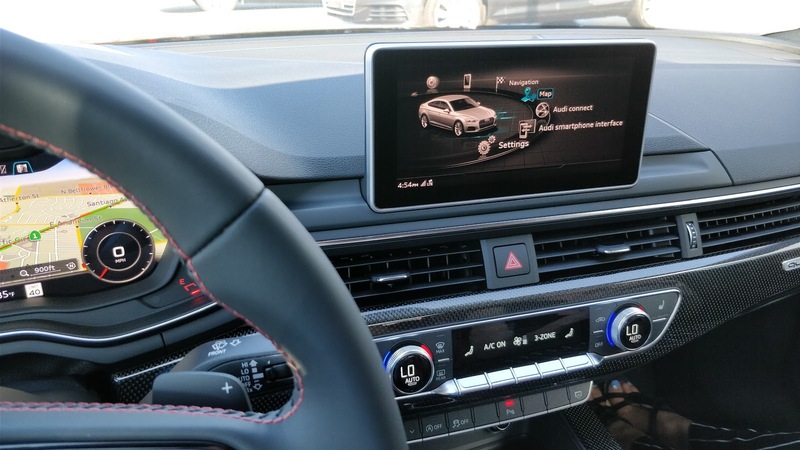 As with many cars these days, Audi has taken to synthesizing some of its exhaust sound using the audio system to enhance the driving experience from behind the wheel. It makes the S5 sound more aggressive than it actually is, but to the benefit of the passengers. The amount of noise can be modulated by adjusting the mode of the car, with dynamic mode offering up a bit more sound than the other options. 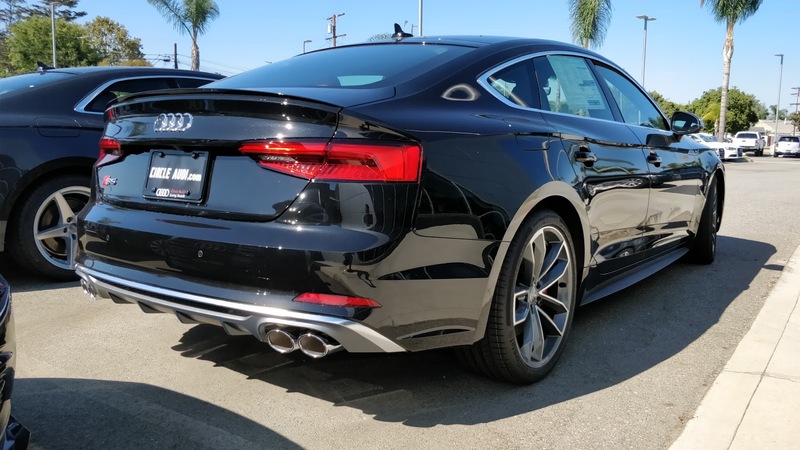 On the road, the blown 6-cylinder feels properly strong from a dead stop, delivering neck-snapping launches when paired with Audi's quattro AWD system. Power is plentiful throughout the rev range and the 8-speed ZF automatic is the same much beloved piece that is in our Jaguar F-Type long-term car. Without a doubt, this automatic is the best of breed. On road performance is admirably strong, with both exceptional power delivery, little to no lag, and great passing power when you need it. 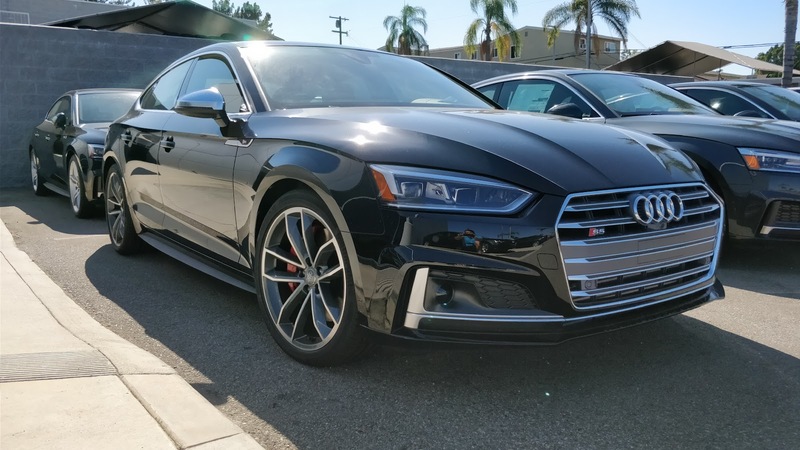 Grip is prodigious as the S5's quattro system is of the newer sport tuned variety which starts out with a rear-wheel bias and only shuffles the power to the front when grip runs out out back. That means cornering limits are shockingly high, especially given how hefty this liftback sedan is at a hair over two tons before you add all of the hefty widgets. Even on all-season tires, the S5 eagerly tore through the corners I threw at it, happily begging for more like an eager German Shepherd. 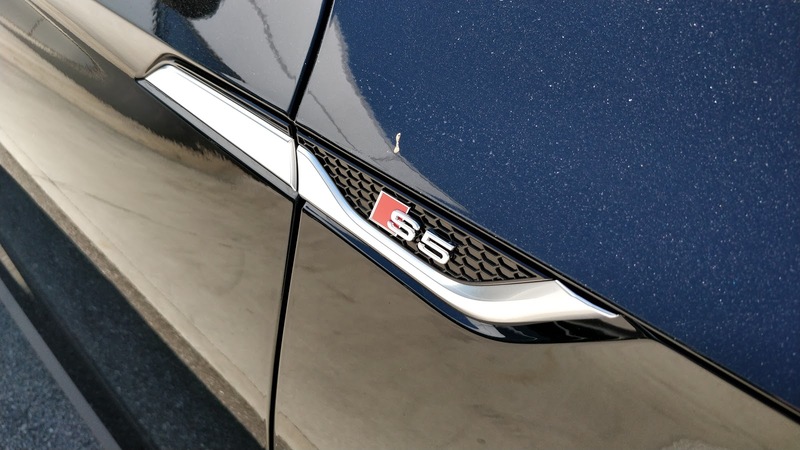 However, there is one major flaw that keeps the S5 from being a truly excellent sport sedan. If you guessed the steering, reward yourself with a treat. Audi's electric power steering is fairly precise, but lacks feel and is at times too light. It starts to develop some heft as speed increases, but not nearly enough for my liking and the balance of feel and assist never quite attain a level that I would be happy with. In fact, the S5's steering was entirely reminiscent of the A4 that I drove while traveling in New York, which is to say perfectly adequate for a car to cruise the highway, but disappointing for a car that is supposed to offer me engagement during my drive. 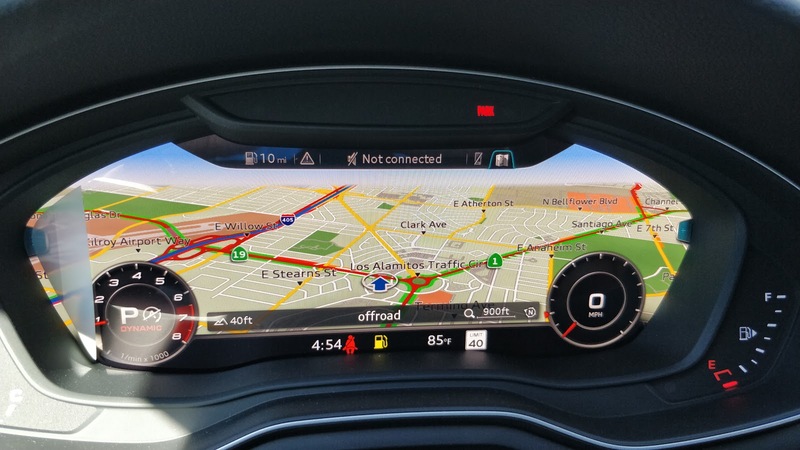 To be fair, the car I tested was not fitted with Audi's dynamic steering option, though my experience with those features is that they are sorely inadequate and generally end up being disappointing more than helpful. What the S5 lacks in steering feel, it partly makes up for with its brilliant ride-handling balance. The adaptive dampers on my test car managed to admirably deliver a butter smooth ride in just about any mode with an appropriate level of sportiness when called upon. 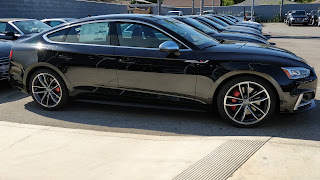 Leaving the Audi Drive Select in automatic meant the car could decide on the fly how to tune the dampers and it anticipated my needs brilliantly. Cruising on the highway, the ride relaxed to be gentle and coddling, but if I started to execute serious maneuvering, the dampers stiffened appropriately and delivered minimal body roll. The system is quick enough and smart enough to figure out your intentions and quickly adjust accordingly, making it one of the better adaptable damper systems that I have had the chance to try. After a pretty extensive test drive and getting a chance to really hammer on the car, I reluctantly returned it to the lot. 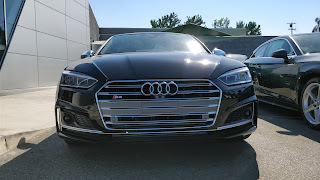 Although not a perfect car, the Audi S5 Sportback offers the best of many worlds. It provides enough space to comfortably seat four adults in relative comfort, it has enough cargo space to put many a crossover to shame, and it is capable of acceleration and handling that gives many sports cars a run for their money. While it could stand to get an update on the interior materials and the steering could stand to be a bit more sporty, those looking for a great grand-tourer would be remiss to not consider this car.